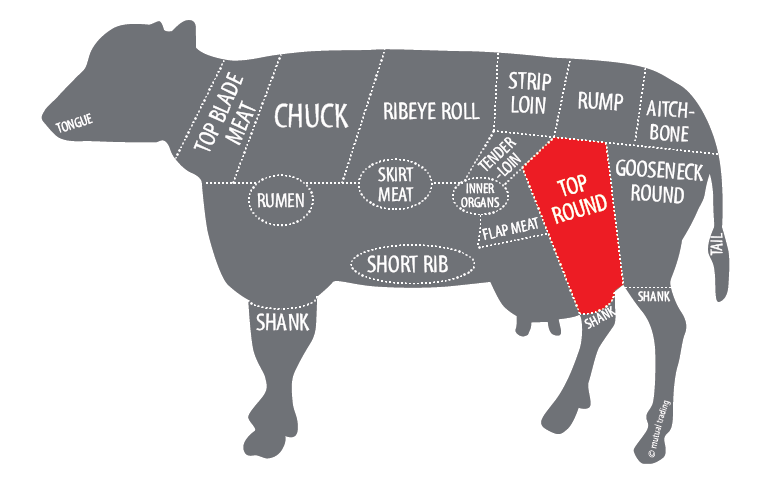 Top round, also called inside round, is the boneless cut from the inner side of the beef’s hind leg. Top round is known to be one of leanest parts and have less marbling than other cuts, however, the most tender of various round steaks. 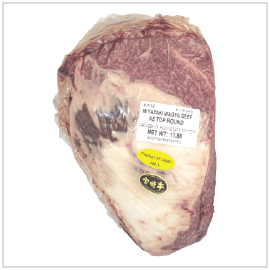 Typically this type of cut is preferable to make roast beef, but because this top round is from Miyazaki Beef, it contains more marbling thus making it more tender and flavorful. Optimal for steaks, grill, shabu, sushi or tataki.